Empowered with affluent industry adeptness and proficiency, we are indulged in making available high quality of Baby High Chair to the market. 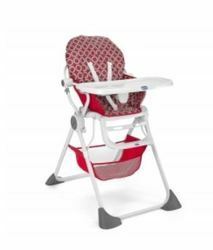 We are presenting excellent quality assortment of Polly High Chair. - Fold compact, one touch fold. - Soft foam padded PVC seat unit. 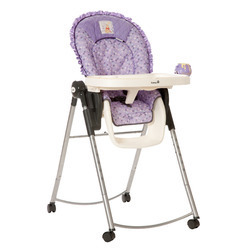 - Front feeding plate could be reset after the backrest to become a high chair. We are one of the foremost companies of Baby Chairs. Professionals use the best grade material, which is obtained from honest merchants of industry to develop our chairs. These chairs are broadly extremely employed in diverse places due to their durable nature and longer life. We take pleasure in introducing ourselves as leading firm by offering Baby Plastic High Chair. Designing and manufacturing an exquisite range of baby chair. These are available in different colors, sizes, shapes, designs and stylish patterns. Further, they are made from premium quality plastics. Some of its features are light weight portable long lasting pocket friendly.